This is my first PB (post baby) cake. I'm convinced the baby took an avid interest in the process; she looked down from my shoulder as I attempted to crack the eggs with one hand*. She happily dozed to the sound of the vibrating kMix and obligingly and conveniently fed while we were waiting for the cake to bake in the oven. She may be only five weeks old but this overly ambitious Mummy has already signed her daughter up to the 2035 series of Great British Bake Off. The series in which powdered food replaces Bread Lions and Mel and Sue are replaced by robots**. * So the cake may have had an added crunch from the not-insignificant amount of eggshell that ended up in the mixture. 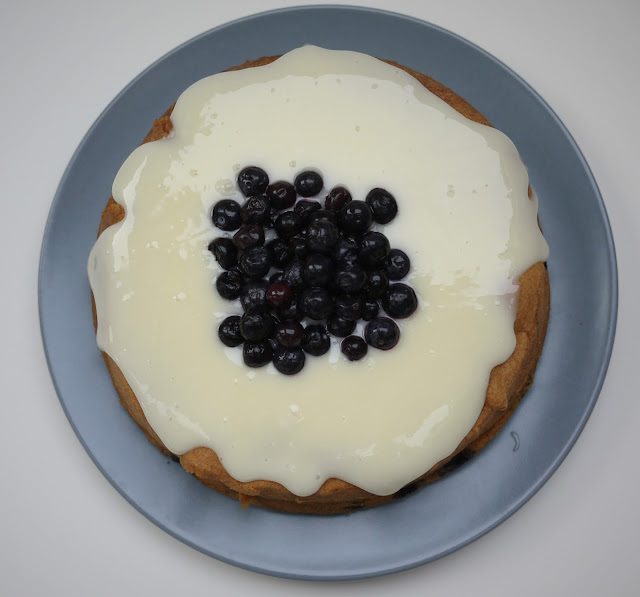 For my first PB cake I turned to an old favourite; this blueberry and soured cream cake from BBC Good Food. 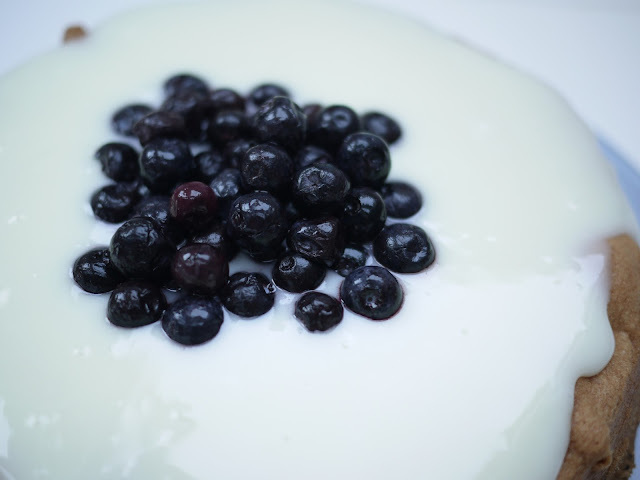 I last made it well over three years ago but my husband enjoyed it so much, he has requested it on a weekly basis ever since (Me: 'I think I'll make a cake this weekend... maybe an Olive Oil, Ricotta and Raspberry Cake?'. My husband: 'Oh. How about the AMAZING-WONDERFUL-DELICIOUS-BEST-EVER Blueberry and Soured Cream Cake instead?'). Delicious looking cake. I'm surprised that resisted a remake for 3 years. By 2035 won't the contestants be robots too? 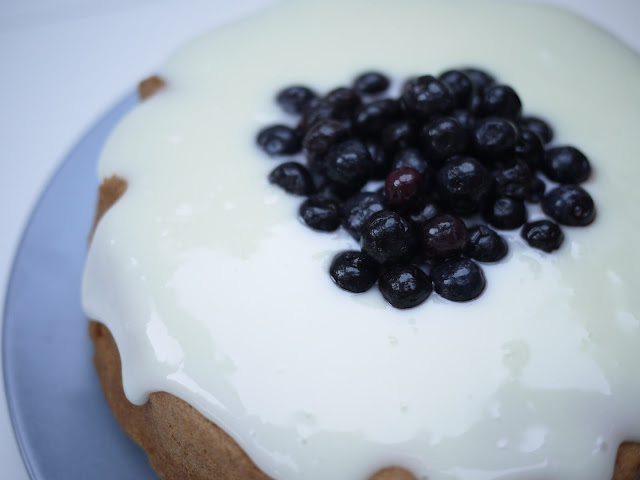 You can never go wrong with blueberries or a sour cream cake - always delicious! What good training for her to be able to watch mummy preparing such lovely food as this.